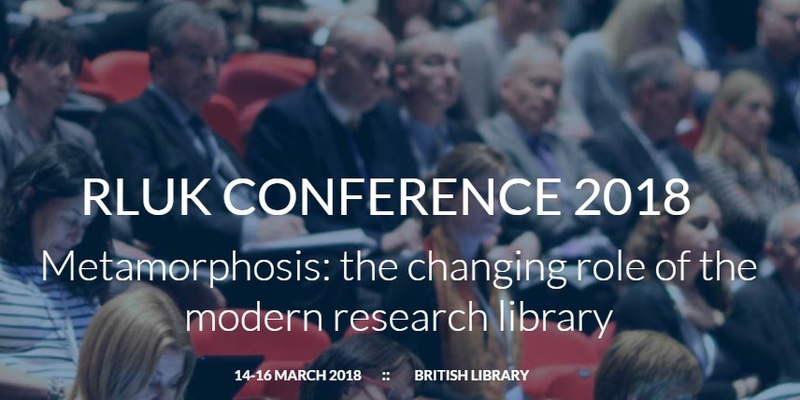 The 2018 RLUK Conference will be held at the British Library on 14 – 16 March 2018. The conference is an excellent opportunity for professionals to connect, discuss and debate together in order to help shape the research library of the 21st century. The Conference is open to all in the library and research communities, in the UK, Ireland and beyond.